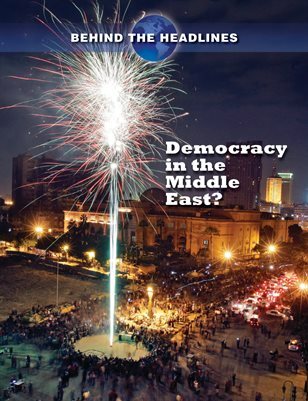 The Arab Spring is changing the dynamics of a strategically complex region, and also provides a unique opportunity to talk to students about the meaning of democracy, the role of civil disobedience, and the challenge of international intervention. From the Jasmine Revolution in Tunisia to the ongoing civil war in Libya, Democracy in the Middle East? tells the story of the ongoing turmoil in the Middle East and North Africa. Addressing issues of stifled opportunity, the impact of changing demographics, and the key role of “liberation technology,” Democracy in the Middle East? is stunningly illustrated and engaging. Behind the Headlines: Democracy in the Middle East?